Family nights are some of my favorite nights and to keep it fun I like to get a little creative from time to time! 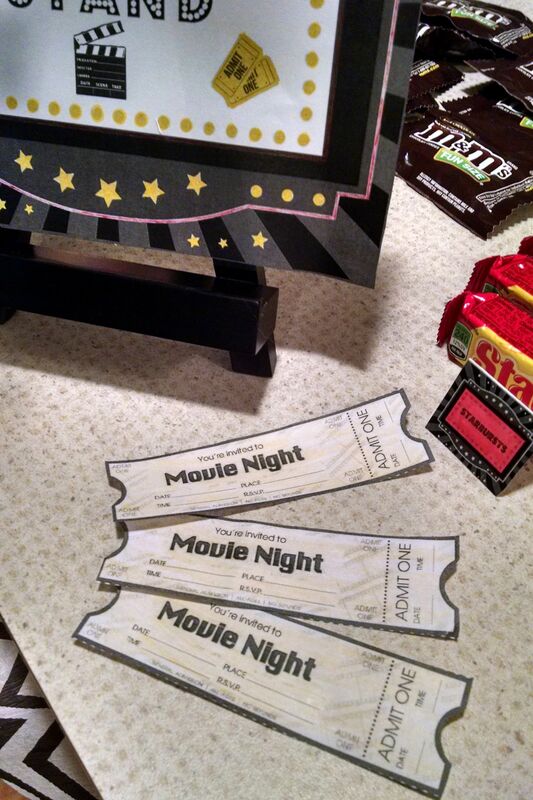 Our family loves movies and we go to the theater often, so when another family night at home came around I thought why not bring one of our favorite outings to our home! 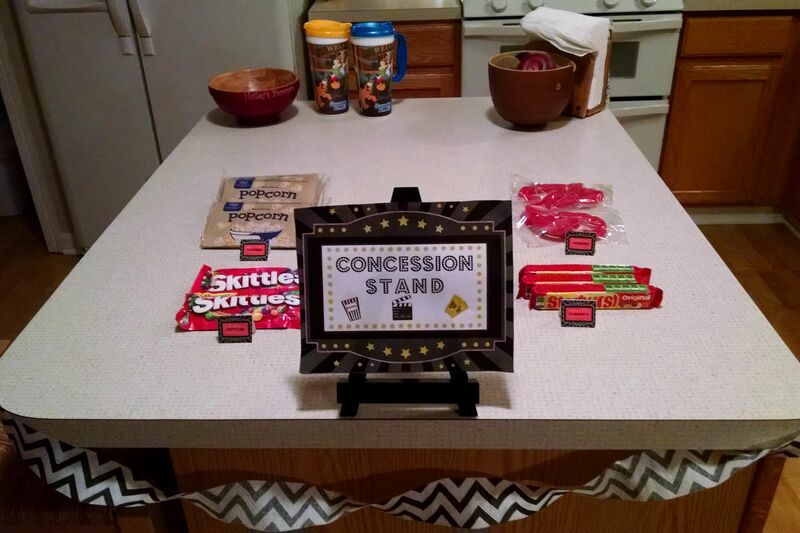 I wanted to make the typical movie night a bit more special so I decided to look online for some printables and ideas. Check out some great ones here! These can be the start of the fun for kids too if you print in black and white and have them color the signs and tickets! If you notice the cute popcorn bowl in the photo above, that’s another great find from personalizationmall.com! Check out their website for similar popcorn, ice cream and snack bowls! If you have some great family night ideas, please share! We are always looking for new ways to have fun together!